Good Friday is a Christian religious holiday, in this day no one shouldn’t eat meat. Here in Melbourne most of the restaurant are closed and my girlfriend and my flatmates nominated me to cook at home for dinner and because I knew the market was close for good Friday, my girlfriend decided to buy different ingredients and to make me a challenge to found a good combination with the ingredients she bought. She choose: eggplant, avocado, zucchini, ricotta, salmon , chilli, basil, red onion and tomato. Now let’s see what I cook with her help and how I decided to valorised the ingredients. So first of all I made the avocado mousse with lemon, salt and pepper, blended all togheter, then I cut in a square form the salmon and marinated for 10 minutes with extra virgin olive, salt and black pepper. 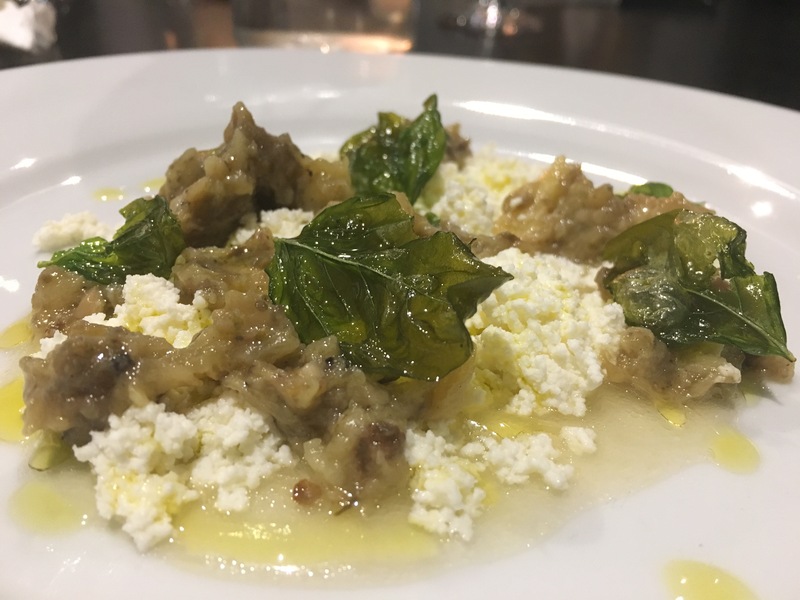 To make this dish first of all I roasted the eggplant for 20 minutes and then I chopped up the ricotta. In the end I composed the dish with tomato extract and on the top a fried basil. 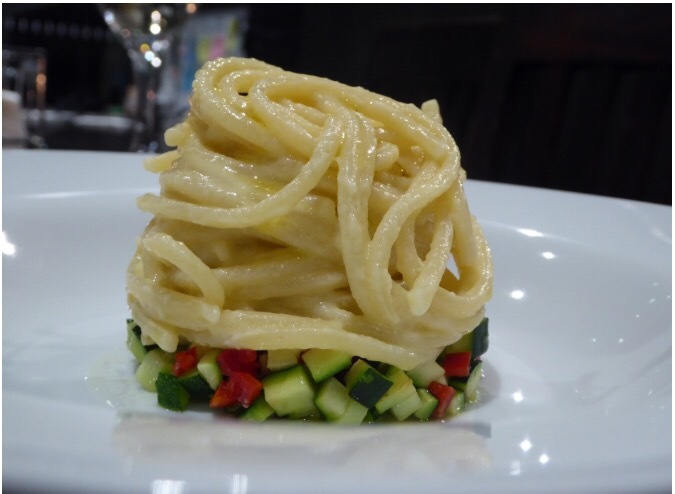 The dinner was well presented and we enjoyed with a bottle of white wine. 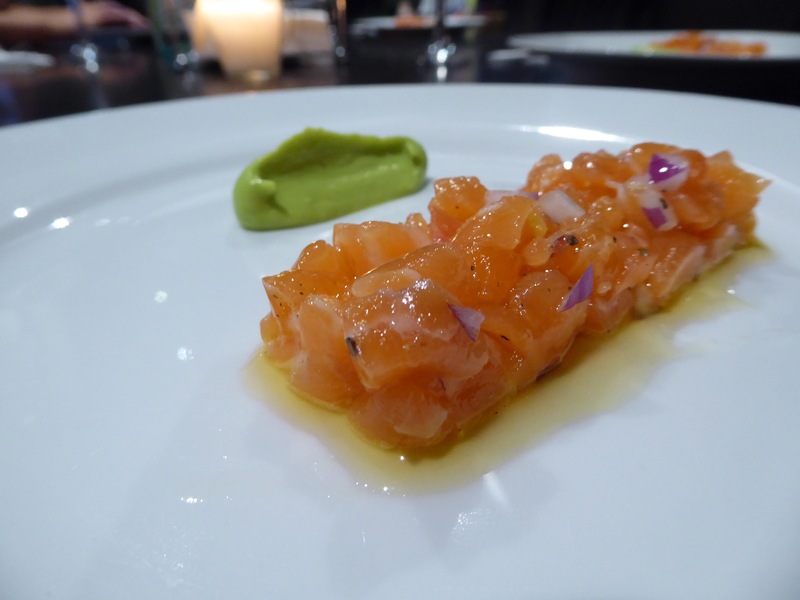 the salmon tartar and avocado mouse… looks amazing… do you add any citrus to the fish or is it just olive oil?